To create a planet in Photoshop you need a planet terrain texture, some PS skills and digital painting techniques. Although it is not very hard to make your own planet in Photoshop it might require a lot of time to create a realistic looking effect. So it is easier to choose a ready to use premade planet stock image and integrate it into your photo manipulations along with other elements like stars, meteorites, galaxy space backgrounds, space ships and so on. So here is a list with creative planets that you can use for free. The list also includes some useful editable PSD files. 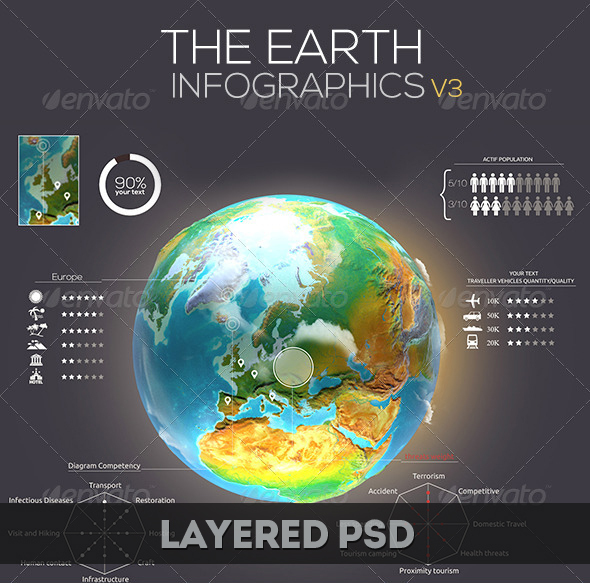 2 comment(s) for "Planet Photoshop Stock Images and PSD Files"